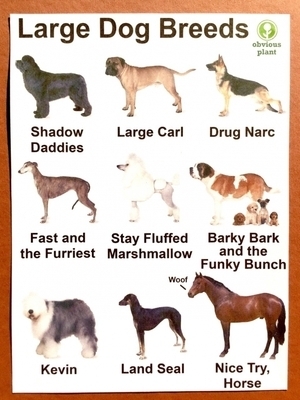 The final part of Jeff Wysaski’s canine nomenclature trilogy. Posted in Design and tagged breeds, canine at 3:30 pm on July 4, 2017 by Broadsheet. I love these. Love them. I’ll take a Kevin.